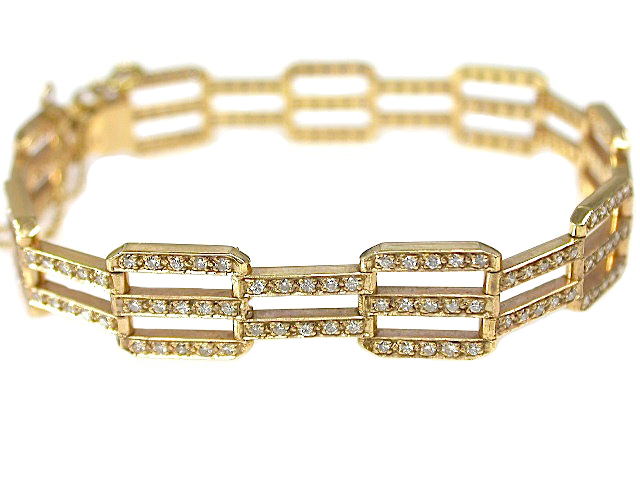 One custom-made 18 karat yellow gold bracelet. 223 round brilliant cut diamonds (2.01 carats: SI clarity: H-I-J colour). The bracelet is 7.25'' in length.